Once it had won over a celebrity international clientele and the catwalks of the haute couture designers, the legendary brand raised the curtain on its art: Alexandre de Paris Studio. The concept of the Alexandre de Paris Studio brand descends directly from Alexandre de Paris, its values, spirit and universe, offering services of great quality at honed prices. 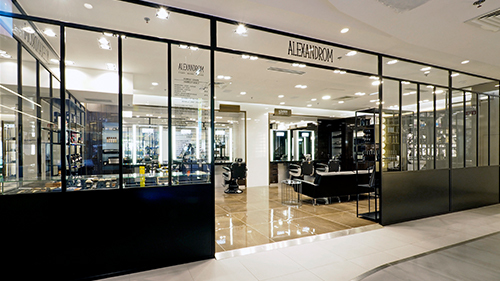 Alexandre de Paris has created a studio version of the salon at the cutting edge of elegance, creativity and fashion. Everything is designed to offer its distinguished customers an oasis of wellbeing.